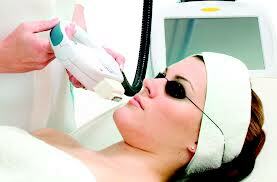 Lasting Looks Clinic in Toronto, offers Photo Facials is Photo Rejuvenation and IPL. What is optimized light Photo Facial (IPL) ? It is a cosmetic treatment that uses gentle pulses of intense pulsed light to treat undesirable pigmentation (brown spots) and facial veins which can occur as a result of aging and lifestyle choices. What types of results can I expect? You can expect to see a decrease in the appearance of brown spots, rosacea, & broken capillaries after your first treatment. How long does it take? The procedure can be performed in as little as 30 minutes. Remember if you are planning to have a treatment it is best not to be tanned when visiting us. as treatments can not be performed on tanned individuals. Special Tips to seeing a quicker result!